Kathmandu Valley harbours famous examples of Hindu and Buddhist temples, and Newari architecture. The monuments included under the wing of the Kathmandu-valley are: Kathmandu Durbar Square, Patan Durbar Square, Bhaktapur Durbar Square, Changu Narayan, Syambhunath Stupa, Pashupatinath and Bouddhanath Stupa. The city of Kathmandu (formerly Kantipur) has its origins in the 8th century, and had its heyday in the 16th-18th century. The city-center is like an open air-museum, in which people still live. There are a lot of buildings in the characteristic style, made of wood and with lots of decorations. On my first visit in 1993, the Hindu-temple of Pashupatinath became my favorite. It is a very serene place, a Nepalese version of the better known Indian ghats (in f.e. Varanasi). I arrived on a tour from Northern India and found Kathmandu the ideal place to relax after the dirt and crowds of India. Eight years later, I am back. Despite the increased number of cars and hotels, Kathmandu Durbar Square I found as magic as ever. Just sitting there, among the number of monuments, watching Nepalese life go by, is one of the best things to do here. I revisited most of the popular sites in the valley, and also took trips to smaller places like Kirtipur, Changu Narayan and Buddhanilkantha. On my third visit I was very unlucky at first with the weather. The "Kathmandu Post" newspaper wrote about a monsoon that stayed on longer than the normal 23rd of September. I had one dry day to revisit my old favourites Kathmandu Durbar Square and Bodnath Stupa. One of the things I especially like about this WHS is the active role it plays in the numerous festivals of Nepal. This time it was Indra Jatra, where the mask of Seto Bhairab is shown to the public. A week later, arriving from Dhulikhel, the sun was shining again in Kathmandu. This gave me the opportunity to revisit Swayambunath and Patan, as pretty and much the same as I remember them from 1993. I spent two months in Nepal, and good amount of that time was in the Kathmandu Valley volunteering in the town of Pharping and exploring the Valley outside the of the city. Kathmandu itself just oozes history and although it suffers from some serious air pollution, which leaves buildings and vibes a bit grimy at times, it's also easy to overlook that side since it holds so many historic sites. Although the earthquake damaged some of the main historic sites, they are not gone and the fact that most still stand is a testament to the city's long and rich timeline. If you're staying in the Thamel area of the city, know that there's a lot more to the city than just that, and you should explore not just the main sites and things to do in Kathmandu, which are spread across the city, but also the neighborhoods around these other sites—that's where you'll find so many other locals and restaurants and aspects that have made Kathmandu the historic city it is. Boudhanath Stupa (of course, this is a key site and truly beautiful to visit and walk around the circle around it, just as the local pilgrims do when they visit). Beyond those things, the next best thing you can do is leave the city and go to the villages, the homestays and such that dot the Kathmandu Valley. Hello all the readers-I somehow came across this article and honestly it feels proud to have read all these positive views as I am a resident of the valley.I understand that the valleys situation has quite degraded because of political matters and not to mention the negligence of people .As a matter of fact it hurts me when this heavenly place degrades every secoond and noone is looking and I am sorry on behalf of those who are concerned if the visitors experiences any kind of inconvenience.It is hard for all us to not be able to enjoy the gifts of the valley to the utmost.However I should like to say this - we will try harder and changes will come.I guess this is something time will heal.So I keep on hoping for the better part of the valley and truly I am glad you enjoyed being in my country.I hope it will always remain in your heart.I was born in this valley and I will love it for evermore and I hope someday people who visit this place will only return with smiling faces. I have been to the Kathmandu Valley several times and I love it ther very much. Ir's alive with people and businesses and restaurants and historical sites of "Old Kathmandu" and love it there, like walking back in time several hundred years. The spirit of the country is reflected here an the people are very friendly and open to good conversations. I have been there on 7 fiffernt times and it is like a second home to me. This must be one of the most expensive WHS but still it is well worth visiting all 7 sites. My personal favourite is Pashupatinath, a smaller version of Varanasi and the Ganges in India. Cremation goes on day and night in the filthy Bagmati river and it is always full of locals especially on Saturdays. Boudnath is said to be the world's largest stupa complex. 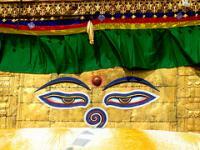 Many Tibetan Gompas to visit nearby the stupa and truly a spiritual place. Swayambhunath is a similar stupa in Kathmandu also known as Monkey Temple because of the monkeys roaming freely around it. Changu Narayan is in Bhaktapur district and is well worth the visit. Less tourists and beautiful stone sculptures. The 3 Durbar Squares are packed with stupas, temples, carvings, stone sculptures, etc. and in order of preference are : Bhaktapur (Bhadgaon), Kathmandu and Patan (Lalitpur). All deserve at least 1-2 days each. I just returned from a visit to Kathmandu this April. I was hugely disappointed to see that Kathmandu was no longer the "lush tropical paradise amidst the Himalayas" that I had pictured it to be, but rather the worst example of uncontrolled urban sprawl and air pollution that I have ever seen. When I arrived in the valley after crossing through the hills we could practically cut the air with a knife! I asked one of my tour guides about air pollution controls and was told that these were in place, but that the police who were supposed to enforce the "green sticker" policy for vehicles in Kathmandu regularly accepted bribes in exchange for the green sticker on the windshield of vehicles permitted to drive in the city. Nevertheless, I loved the people and spirituality that permeated every street and alleyway of Kathmandu. It is practically impossible to walk anywhere without stumbling over a stupa or some kind of shrine, no matter how small, and the people were some of the kindest and gentlest people I have met on my travels. I will definitely visit Kathmandu and other parts of Nepal again in future and can only hope that some of the conditions will have improved by then. I have never seen himalayas. But, Kathmandu is the place where I was grown n lived. I miss everything-festivals, monuments n all. I hope we will always have peace in our country. I first visited Kathmandu in 1990 and returned in the fall of 2007. On my first visit the journey from Kathmandu to Bahktpur, was a short drive through open countryside, now the whole journey is through urban sprawl - a huge disappointment. I was told, by our guide, that the valleys population has nearly trebled since the start of the Moaist insurgency. Due to people seeking the safety of Kathmandu. This is both a human tragedy, and a tragedy for our collective human heritage. That said, there is still plenty to enjoy and be inspired by. Bodonath, Pashinunpronoucable, Bahktpur etc. I would also, from my first visit, recomend the intimate but enjoyable national museum - although I never made it back last November. I went to Nepal in June. 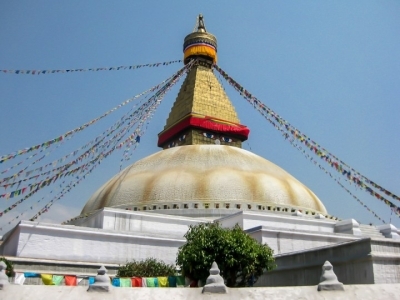 It was always my dream destination but the main reason i wanted to go there was to see the bouddhanath stupa. This buddist temple with the eyes penetrating has always fascinated me. But what i never expected was to discover so many hindu temples in nepal. Going without expecting is always an experience. The best temple among the ones i visited is of course pasupathinath. I missed out the shangu narayana temple and the bathrakali temple. That is why i visited this site. 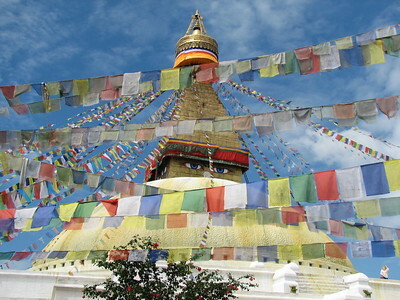 Nepal is an exotic country to visit. I would want to visit again all those places that i missed out. Goddesses: Kumari the "Living Goddess"
Virginity: The living goddess Kumari lives in the Kumari Ghar, a palace in the center of Kathmandu. The word "Kumari" is derived from Sanskrit Kaumarya meaning "virgin"
Foreigner prices: Variations between Nepalese, Chinese, SAARC nationals and other Foreign Nationals. Ranging from Free to 1,000 Nepali rupees for Kathmandu Durbar Square.